The Czech Republic come into their penultimate Group A game secure in the knowledge that they will be playing in the finals. Group A’s surprise package Iceland means that Turkey and the Netherlands have been pushed back to content for a play-off spot, meaning that two of the continents stronger teams may not even make it to France. Turkey can confirm a play-off place with a game to spare if they can extend their two-point lead over the Netherlands. They have the superior head-to-head record in the event that the sides finish level on points. The other good news for Turkey is that the Netherlands are somewhat deflated. A change of manager has not seen a change in fortunes, and their side lost both their September qualifiers. Much of this match depends on how seriously the Czechs take the challenge. They were the last team to beat Turkey in the qualifiers a year ago now in a narrow 2-1 victory in Istanbul, and the Turk’s recent demolition of the Netherlands will mean they approach this game in good spirits. Prediction – with Turkey motivated to keep the distance between themselves and Holland and the Czech Republic likely to take their foot off the gas after qualifying, expect a Turkey onslaught. Buy Turkey Under with the Spiffindex at 2.88. Wales have all but qualified for their first major finals since the 1950s, but still need to secure a point to make sure of automatic qualification. In contrast Bosnia and Herzegovina have got a task on their hands to even take the play-off spot in group B. They currently sit two points behind Israel, who have a better head to head record, meaning Bosnia need to gain three points on them in their closing two games. Cyprus are also in the mix for that third spot, sitting two points behind Bosnia, and play both Israel and Bosnia in the final two qualifying rounds. It’s going to be close. Especially as Bosnia have got the tools to surprise Wales. While the Welsh still need points to be sure, their last game is at home against Andorra, who have so far lost every game. With that playing the backs of the players’ minds it’s very possible that Wales will keep their fans holding on to the very last moment and slip up here. While it won’t be easy, Wales are unbeaten in five competitive away games and have not conceded in the most recent three, Bosnia have never lost to Wales and they drew 0-0 in Cardiff at the start of qualifying. 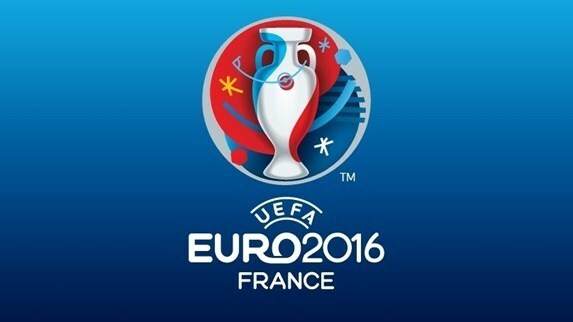 Prediction – Bosnia will be more motivated than Wales who have qualified in all but name already. That said the Spiffindex is too far in Bosnia’s favour at present at 1.97 so buy Bosnia Over. Israel have some good omens coming into this crunch match against Cyprus, one of the teams it is vying with for the play off position in Group B. Israel have won the last five matches against the Cypriots and have won all eight of their previous home games against them. 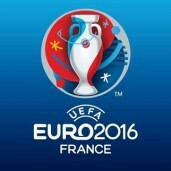 A win for the home side would put Cyprus out of contention, while also keeping fourth placed Bosnia at bay. Israel could technically finish in the automatic spots, but such calculations would require pointless Andorra to pull off the shock of qualifying and beat either Belgium or Wales. Cyprus could still finish third, but need results to go their way – including Belgium beating Israel on the final day. They will need to buck their ideas up in order to do so Cyprus lost both of their September qualifiers – both at home – and failed to score in either game. This does not tell the whole story though as the Cypriots were playing group leaders Wales and then Belgium, who both required late goals to take all three points. Prediction – Cyprus are not quite the mugs that the markets seems to be making of them and started with an impressive win in Bosnia. They have also yet to draw a match. With the Spiffindex at 4.2 buy Draw Over.